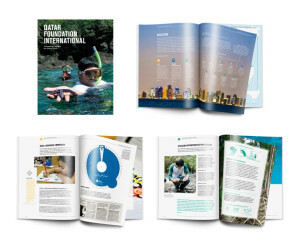 QFI wanted an 8-page brochure highlighting their two Arabic education programs in New York. In a 4-week turnaround time period, WCM created a stunning final product. It was a glossy 16-page, saddle-stitched brochure that opened from the left with English and opened from the right with Arabic. The two sections met with accustom “breaker” spread in the middle that united the two languages with QFI’s logo.